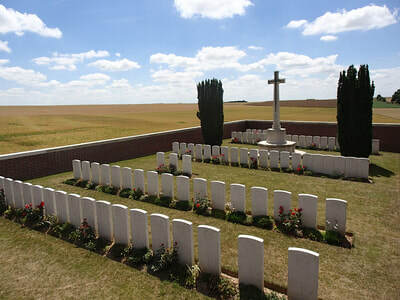 Rancourt is a small village on the main N17 road between Bapaume and Peronne. The Military Cemetery is on the outskirts of the south side of the village. 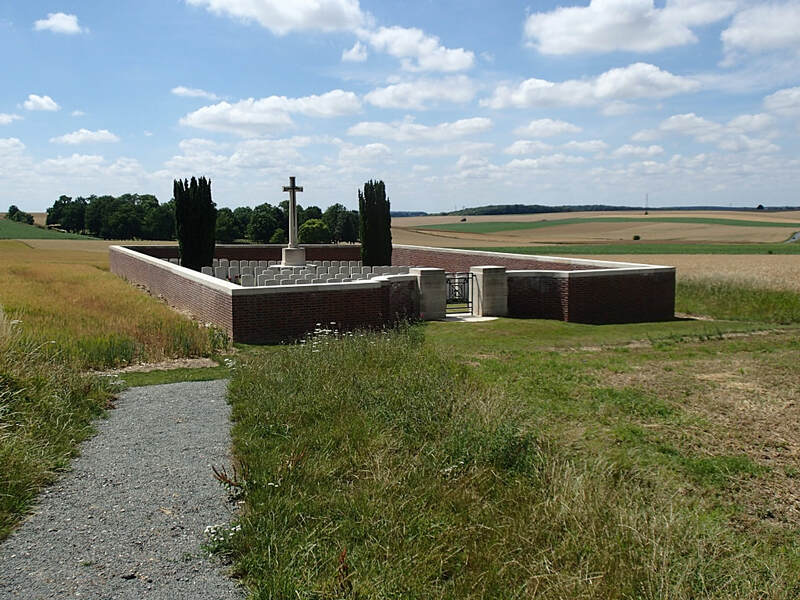 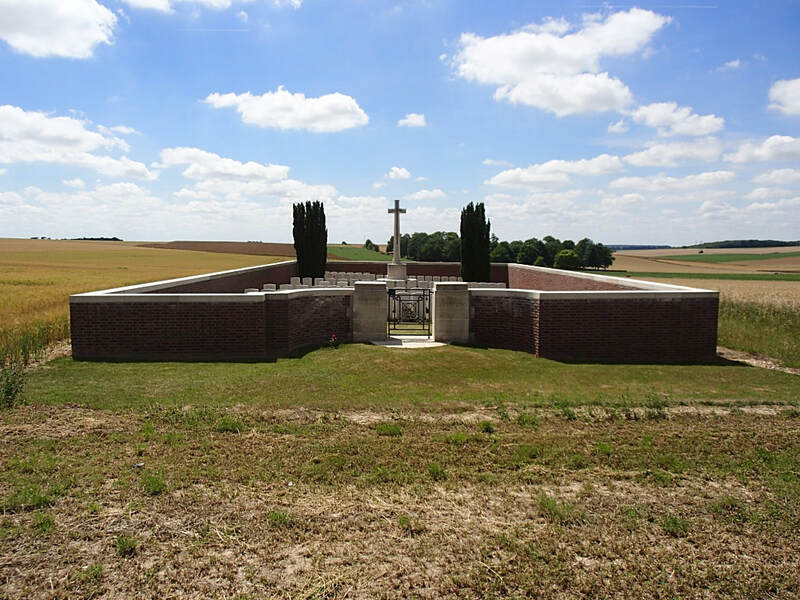 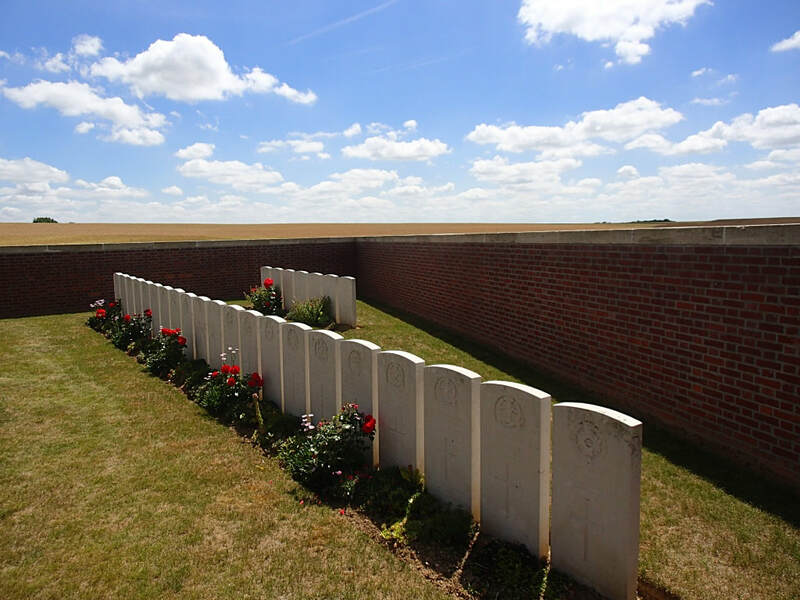 It lies in the fields to the right of the main road facing a large French military cemetery. Rancourt was captured by the French on 24 September 1916, and remained in Allied hands until 24 March 1918 and the German advance. It was recaptured by the 47th (London) Division on 1 September 1918. 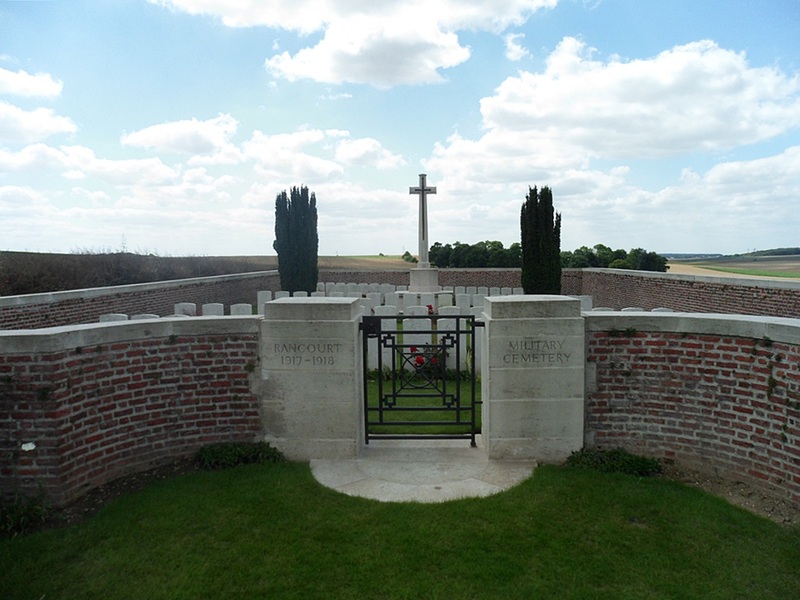 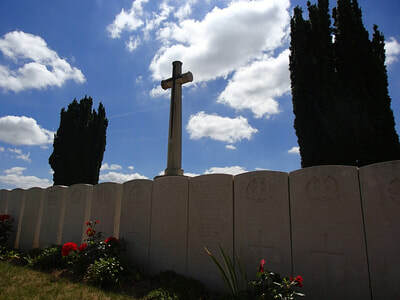 The cemetery was begun by units of the Guards Division in the winter of 1916-17, and used again by the burial officers of the 12th and 18th Divisions in September 1918. 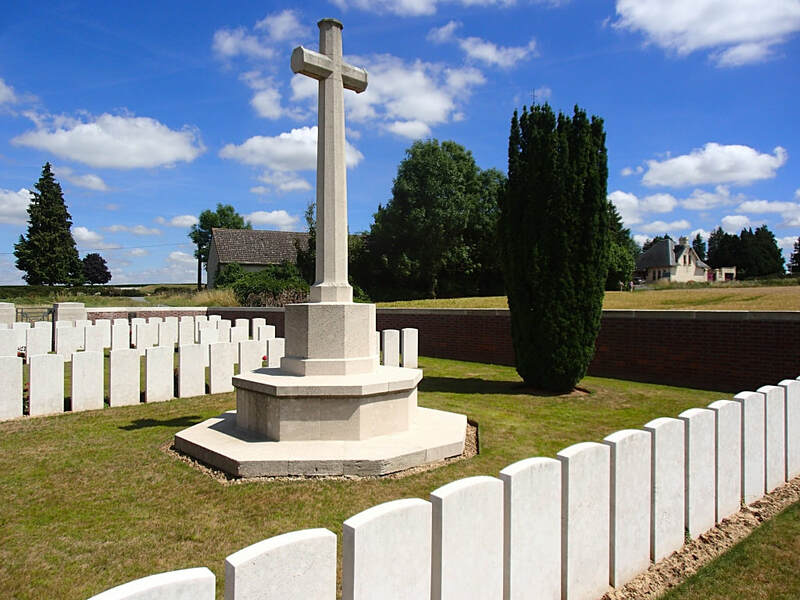 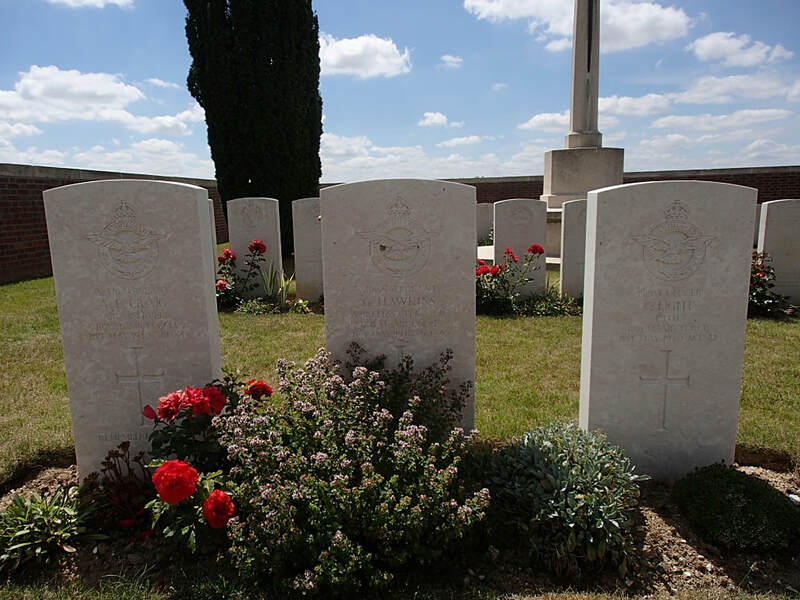 After the Armistice, six graves from the surrounding battlefields were brought into Row E.
Rancourt Military Cemetery contains 93 burials and commemorations of the First World War. 20 of the burials are unidentified but there is a special memorial to one casualty known to be buried among them. 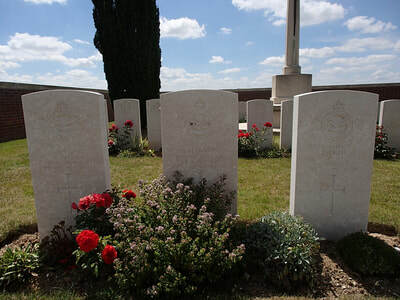 There are also three Second World War burials in the cemetery. 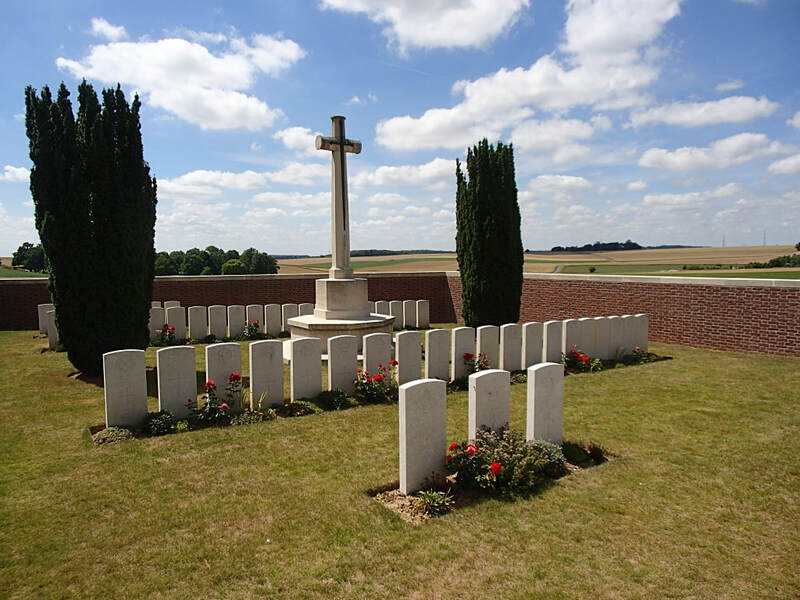 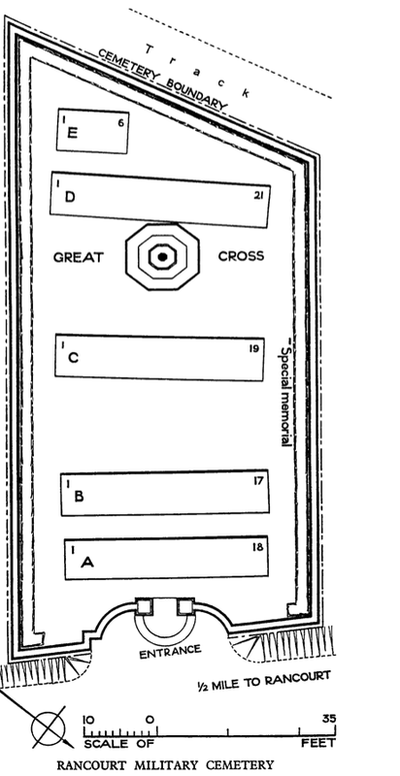 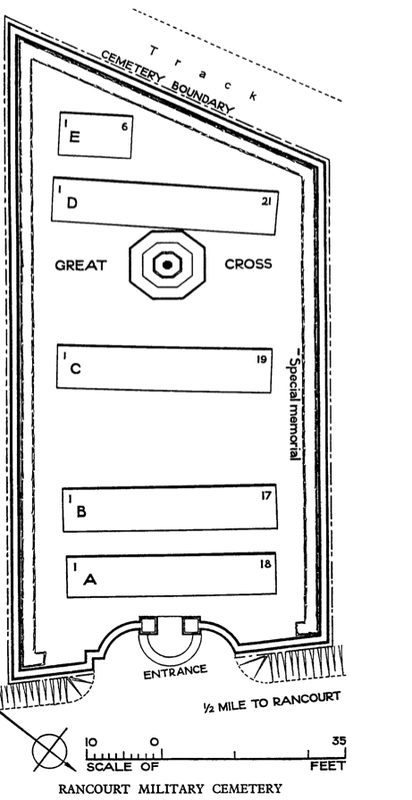 Casualty Details: UK 90, Total Burials: 90.